2-Ingredient Sorbet 5 Ways. 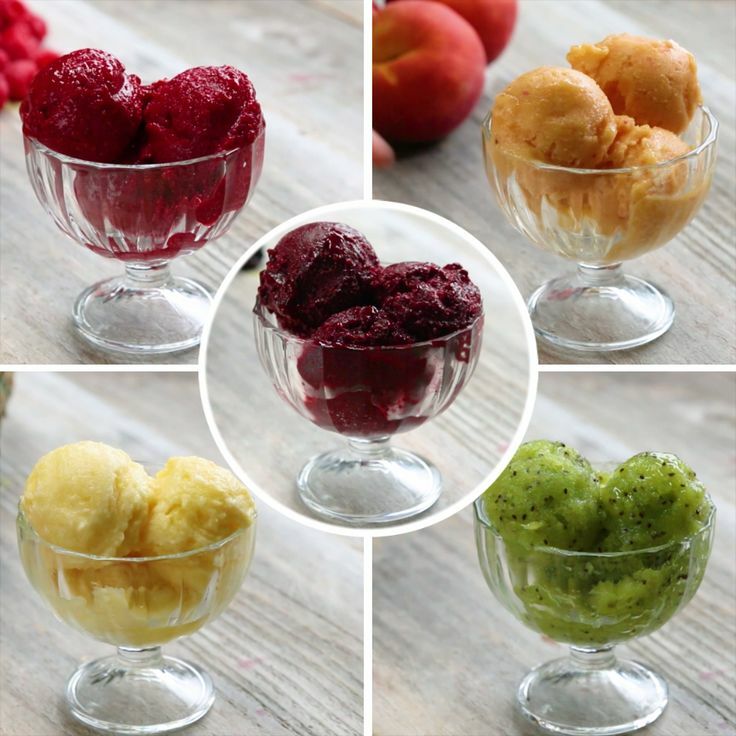 1 pound frozen fruit 2 T -4 T honey Blend selected fruit in a food processor. Place in a freezer safe dish. Freeze for two hours and serve.